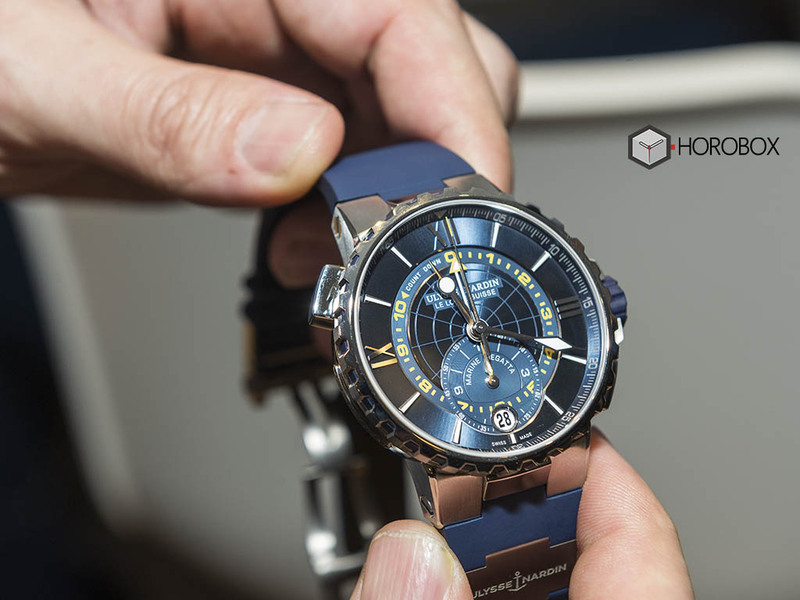 Ulysse Nardin, one of the first brands to recall when it comes to sea and sailing sports, has accomplished an excellent job with its latest Marine Regatta model. As a person who has been sailing for many years and participated in various races, all of the watches produced in the Regatta concept create a different excitement for me. 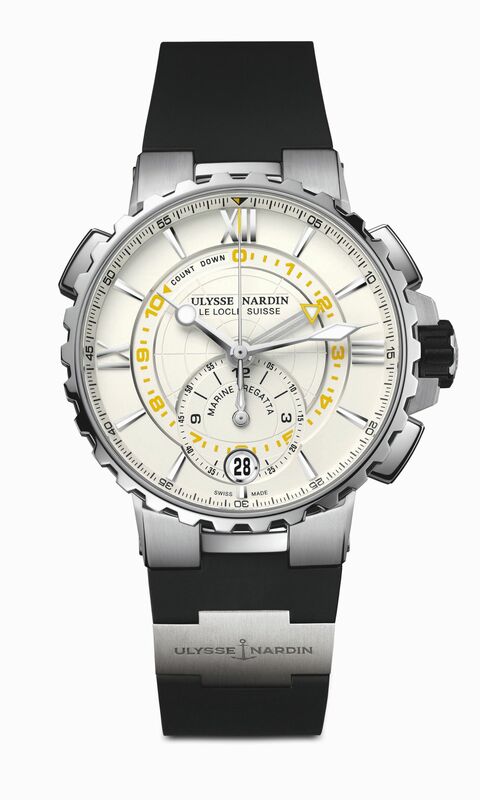 The happiness I experienced when I first saw Ulysse Nardin Marine Regatta, confirmed the same. The importance of time in sailing races is felt before the beginning of the race. Since the boats do not start from a fixed point in the start position, there is a complete chaos before the start. All the boats go into competition with time and other boats to start the race in the best position. When you start, you need a good analysis ability and sailing knowledge in order to be in the best and most frontal position. With the horn you heard 10 minutes before the start, the excitement begins. 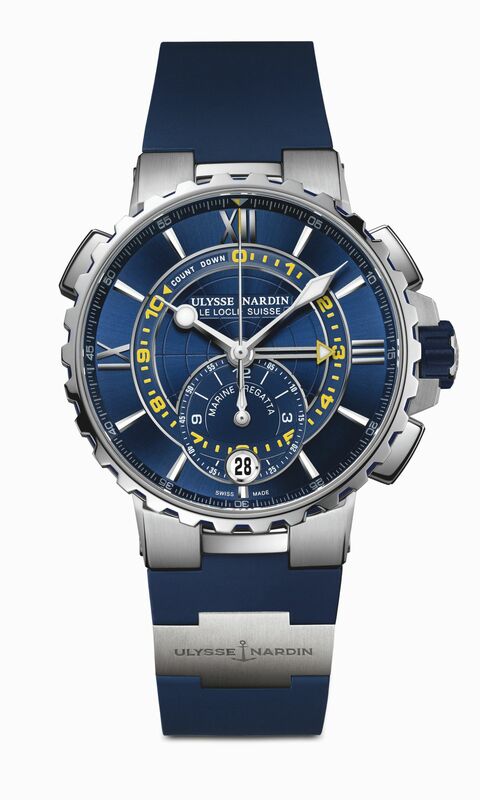 At this point, Ulysse Nardin Marine Regatta is one of your closest helpers. When you hear the last 10 minutes horn, all you have to do is pressing the UN Marine Regatta's chronograph button. The mechanism that can countdown 10-0 minute, starts the chronograph function in clockwise when the countdown is over. On this count, you can measure the time from the start to the finish line without making an extra touch. 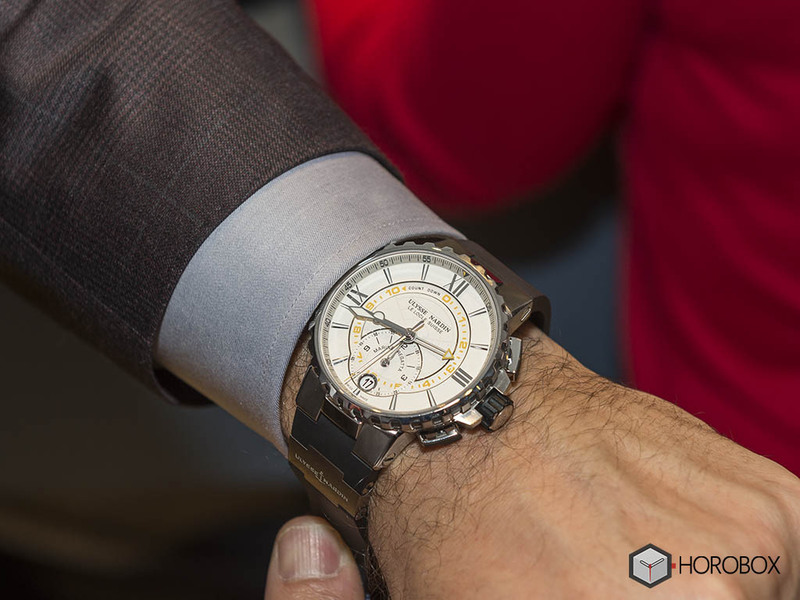 The model is offered in a 44mm diameter case made of stainless steel with a water resistance rating of 100 meters. 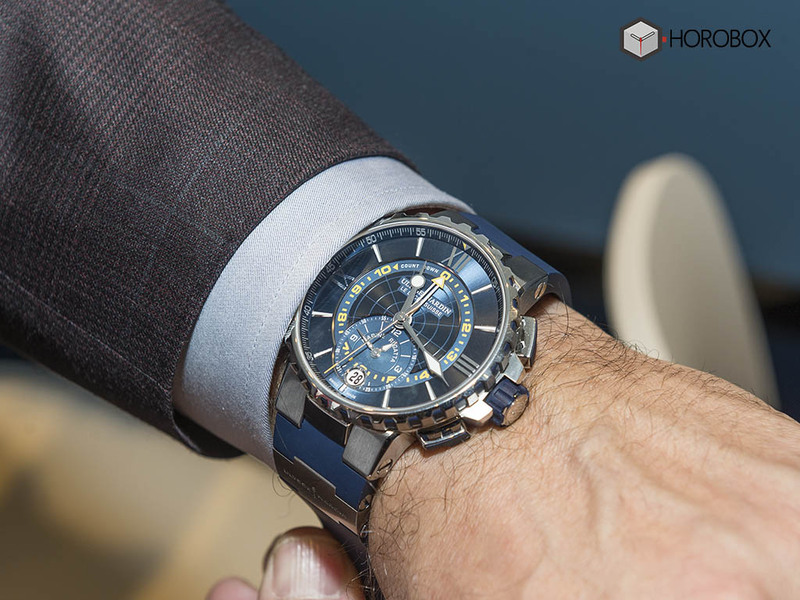 The watch comes with two different dial options as in blue or white. For both versions, the 10-minute countdown scale is finished in yellow. At the 6 o'clock position, the date window is displayed. You can also set the time you want to count down by using the button located at 10 o'clock. The new model is powered by the Caliber Ref. UN-155. 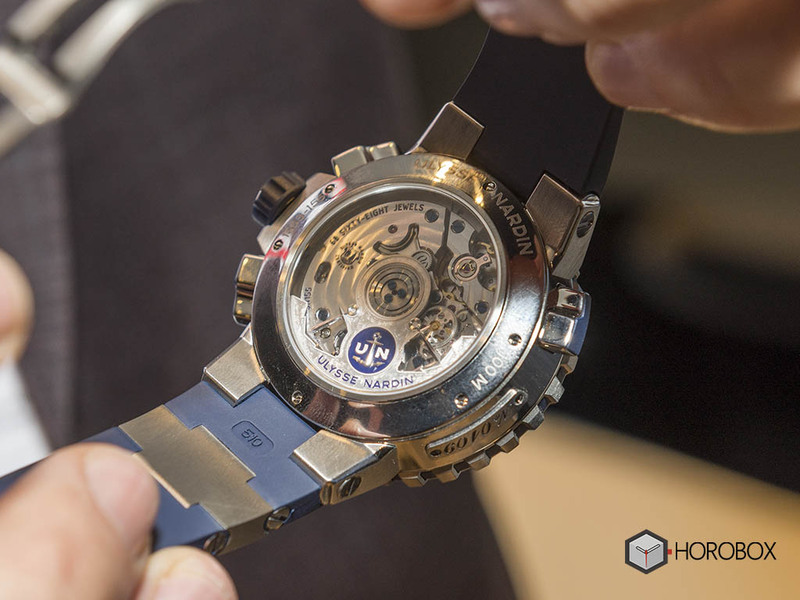 The in-house movement, which is based on another in-house movement Caliber Ref. UN-153, features 650 parts. 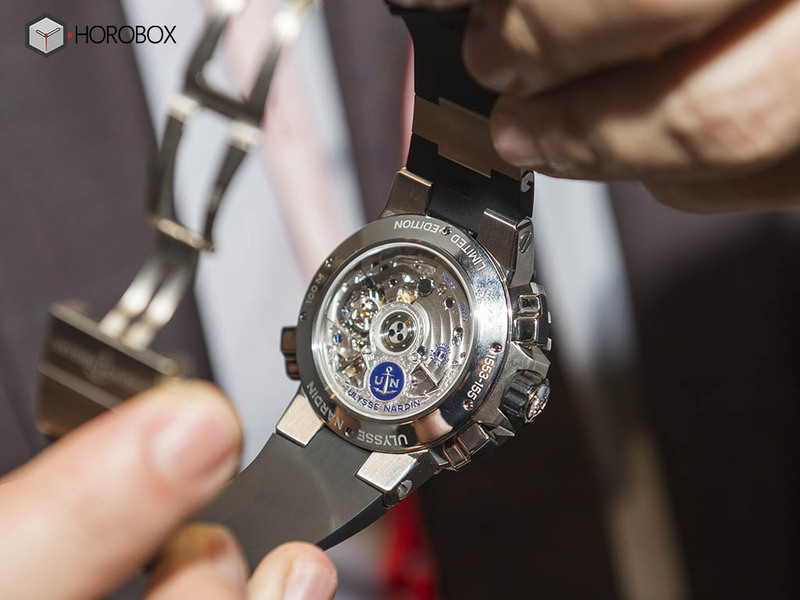 Self-winding movement beats at 4Hz and offers a power reserve of 72h when fully wound. The white dial model is offered on black rubber strap while the blue dial version is offered on a black rubber strap. There is also a special version in the collection limited to 35 pieces only. This special timepiece is dedicated to the Artemis Team which will participate to the 35th America’s Cup this year. 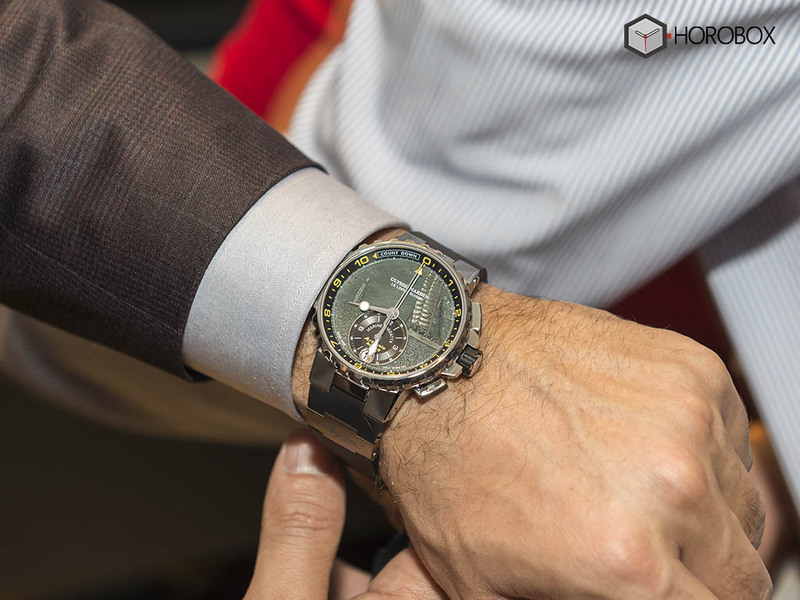 The limited edition model is offered with a black engraved dial only.